As the satellite telecoms industry transitions from a world dominated by point-to-multipoint video services, to one that is more slanted towards data connectivity, spectrum increasingly becomes a precious resource. 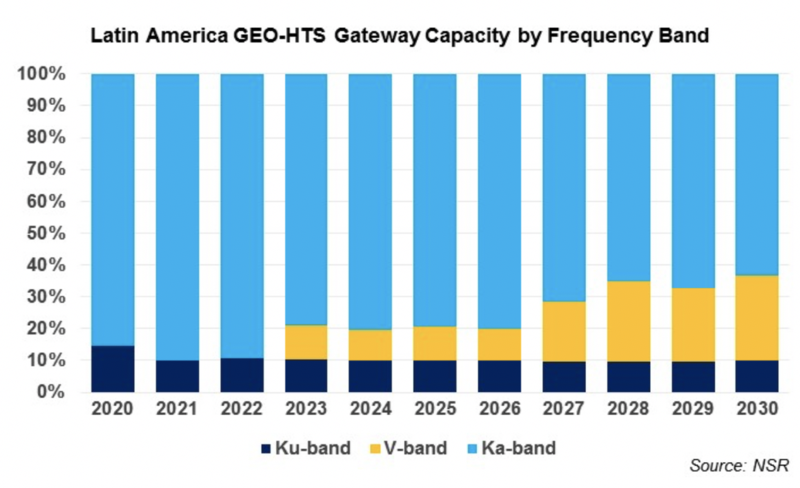 Verticals such as consumer broadband, 3G and 4G backhaul, and M2M/IoT will require huge volumes of capacity, and with C-band under continued attack, it is only natural to assume that operators will, at some point in the not-so-distant future, migrate to higher frequency bands. 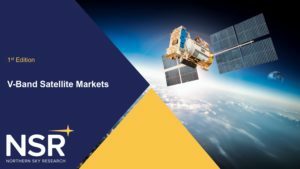 With NSR having spoken to relevant parties in the market about V-band developmental plans, and having taken data from NSR’s existing research library on supply/demand for other frequency bands, NSR’s V-band Satellite Markets provides a comprehensive look at the future development of V-band. 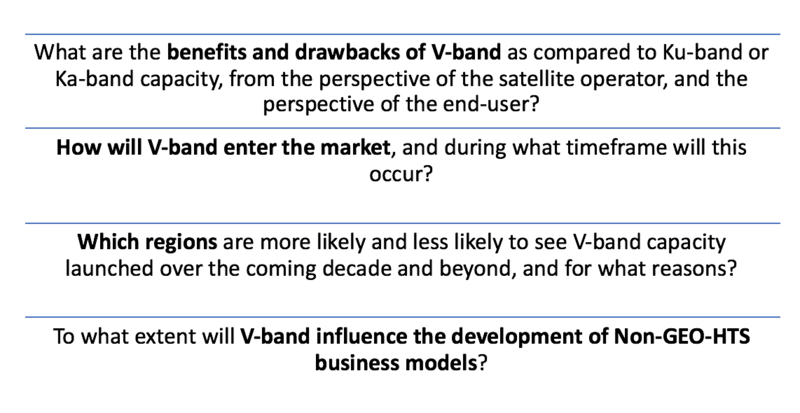 In this first-of-its-kind study, NSR delves into the ins and outs of V-band from a technological, CAPEX, and capacity perspective, providing the reader with a thorough understanding of the benefits and drawbacks of this frequency, how its rollout will impact the industry, and over what timeframe this will occur. 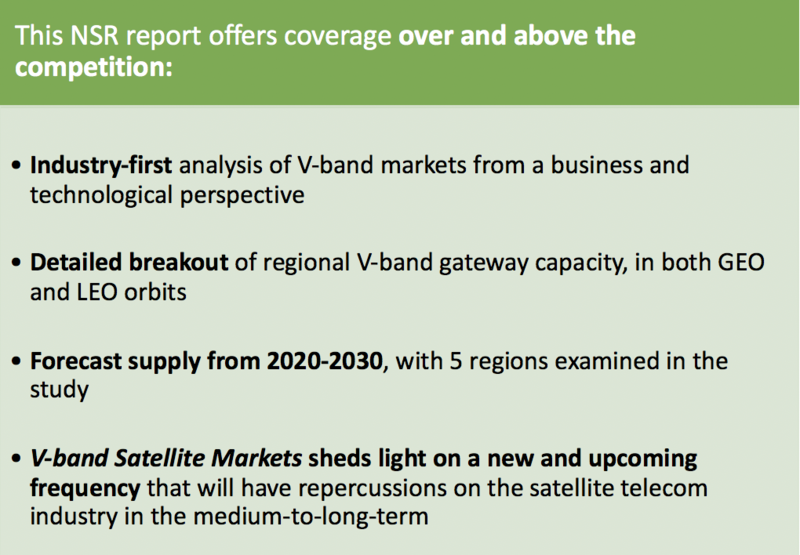 NSR’s V-band Satellite Markets provides coverage of V-band gateway capacity by region, including North America, Latin America, Europe, Middle East & Africa, and Asia, with forecasts from 2020-2030. 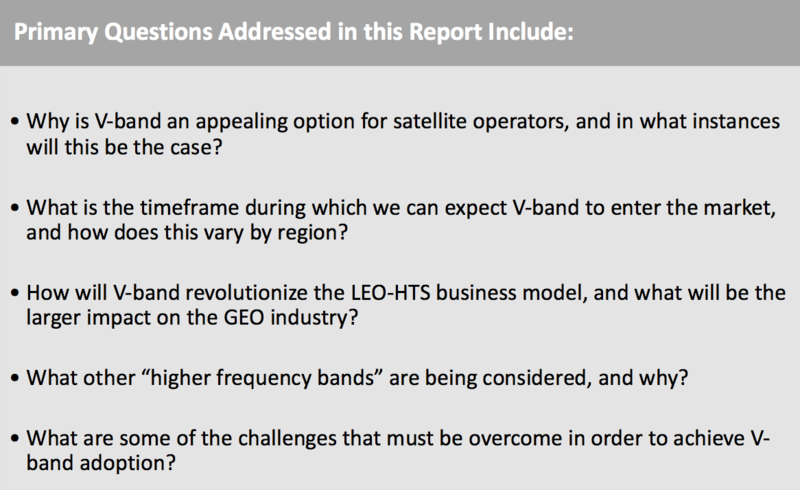 Given the potential for Non-GEO-HTS constellations in V-band, including an announced constellation plan by Boeing, NSR also conducted analysis of Non-GEO-HTS. 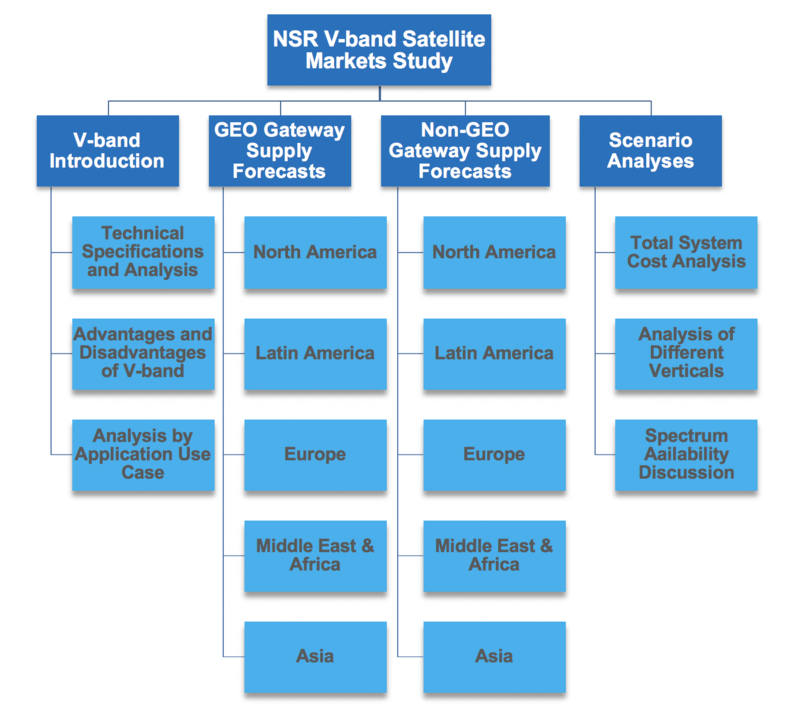 With the practical implementation of V-band still beyond the horizon, NSR gives the reader a thorough understanding of the technical pros and cons of V-band for different use cases, and provide an understanding of the costs and benefits of this new frequency.